Go grasa is the food offered to a cow. 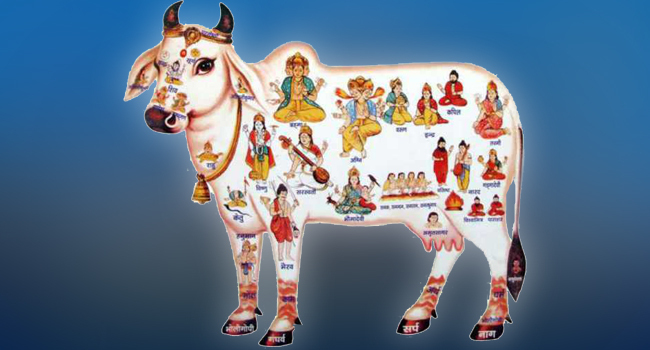 Puja is performed to the cow and offered fodder that may include sweet dishes. Cow is said to be home to many gods. Thus, by offering obeisance to the cow, benevolence of all gods is sought.